First of all, I would like to say a big thank you to my aunt for organising this awesome trip! D'Kranji Farm Resort certainly suits people like me, a quiet and isolated place located in an ulu area far away from the town. Jurassic Park? Or Blood Harvest from Left 4 Dead? Although some of the facilities are not ready yet (because they just opened last year November), but the quiet ambience from the nature instantly made me feel relaxed. Brotherly love, together as one. As radiant as ever, sunflower! Part of a banana tree. 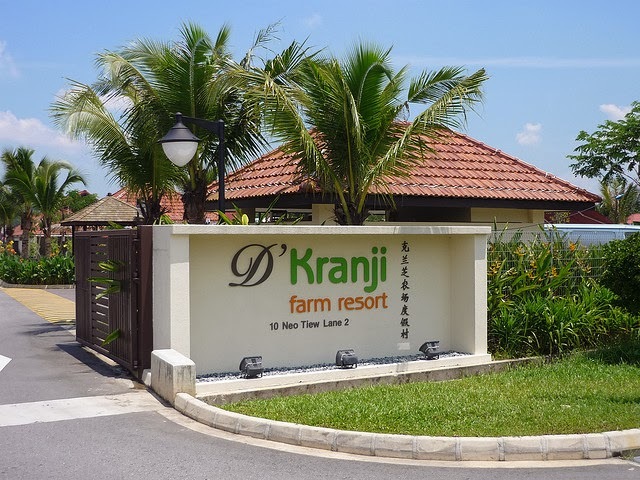 According to D'Kranji Farm Resort, they're the the first Agri-tainment Centre in Singapore, so naturally there are loads of flowers and agriculture being cultivated there! Woman mafia. Haha just joking! My mom and my cousin Owen! I believe this is a picture that speaks a thousand words. Family photo at the end! It's a must.